Witherbee and Whalen, Inc.'s fine artisans continue to provide superior quality workmanship no matter what size project. Cemetery memorials, veteran's memorials, civic and fund raising projects, or pet memorials in granite, marble, or bronze... scroll through our gallery to see a sampling of our work. With the technology available today most any shape or design is possible. 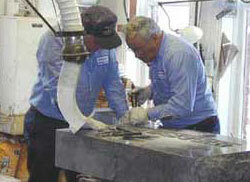 George Ladison demonstrates raised letter technique to apprentice, Larry Walrath. Our memorial counselors can help you design an appropriate and unique memorial to celebrate and honor the life of a loved one. 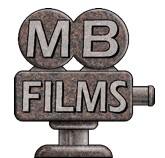 For inspiration, browse the videos below. Most especially, take some time to see the Art of Remembering. It is a fascinating look at how the monument artisans create these one-of-a-kind pieces of art.